According to a study commissioned by LocalAgentFinder, a large percentage of Australians think 2017 is a good year to sell property. Despite prices hitting new highs in 2016, it is anticipated that the Australian property market will continue to boom in 2017. A Pureprofile survey of 1,001 Australians conducted in March 2017, commissioned by LocalAgentFinder, found that 62 per cent of Australian home owners believe 2017 will be a good year to buy, but 73 per cent believe it will be a good year to sell. 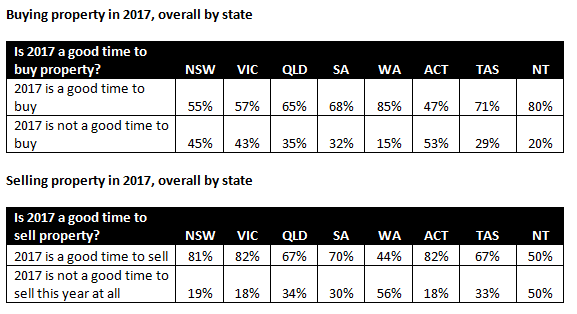 The most confident sellers came from the east of Australia, Victoria and the ACT had 82 per cent of home owners believing it was a good time to sell, while NSW had 81 per cent. Confidence dropped slightly around the country, 73 per cent thought it was a good time to sell in the Northern Territory, 70 per cent in South Australian, 67 per cent in Queensland and Tasmania and 44 per cent in Western Australia. 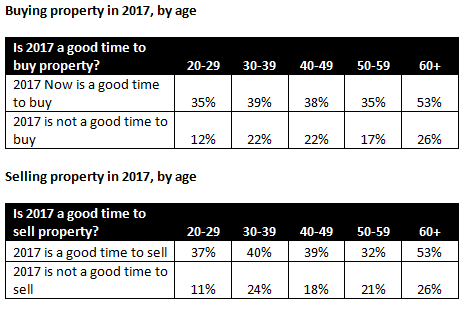 On the other side of the coin, Western Australia had the homeowners who were most optimistic about buying; 85 per cent believed 2017 was the right time to make a property purchase. Northern Territory was close behind with 80 per cent, then Tasmania with 71 per cent. ACT and NSW residents weren’t so sure; only 47 per cent and 55 per cent respectively thought it was time to add to a property portfolio. Around the country, 68 per cent of South Australians believe this year is the right time to buy, and 65 per cent of Queenslanders and 57 per cent of Victorians agree. “It is interesting to see two-thirds of Australians believe property is a good buy this year, given the double-digit percentage increases, talk of interest rates potentially rising and potential changes to property investment legislation,” LocalAgentFinder CEO Matt McCann said. “Many of us are talking about Sydney and Melbourne’s strong property market, but that is not really being seen outside of the eastern seaboard. In fact, the value of property in Brisbane, Adelaide, PerthPerth, TAS Perth, WA and Hobart were lower in 2016 than they were eight years ago,” he said.